The centrefold graphic from the book is now available as a FREE downloadable colour poster. 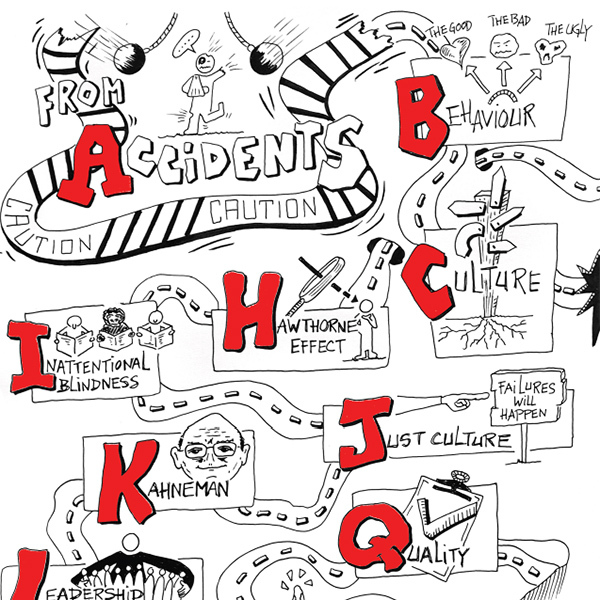 Many organisations are already using the poster as a discussion tool in team meetings, or to help review focus areas on their own journeys From Accidents to Zero. Have you got your poster yet? Click on the FREE DOWNLOAD bar at the top of the screen to get yours today.